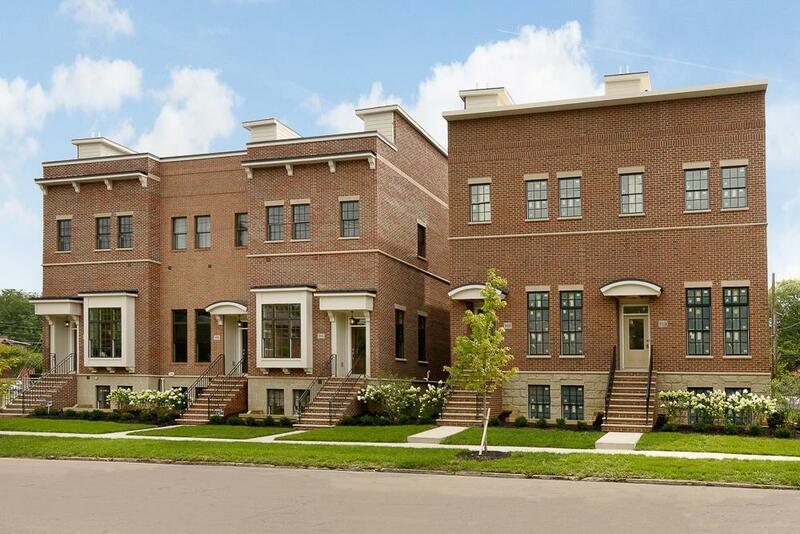 Stately NEW townhomes in the Brewery District, German Village area! Grand foyer (15'6' ceilings) that could be an office, sitting room, baby grand, etc. The main living space is perfect for entertaining; gorgeous kitchen with quartz counters, stacked cabinets, upgraded appliances & bar seating. Room for a dining table. 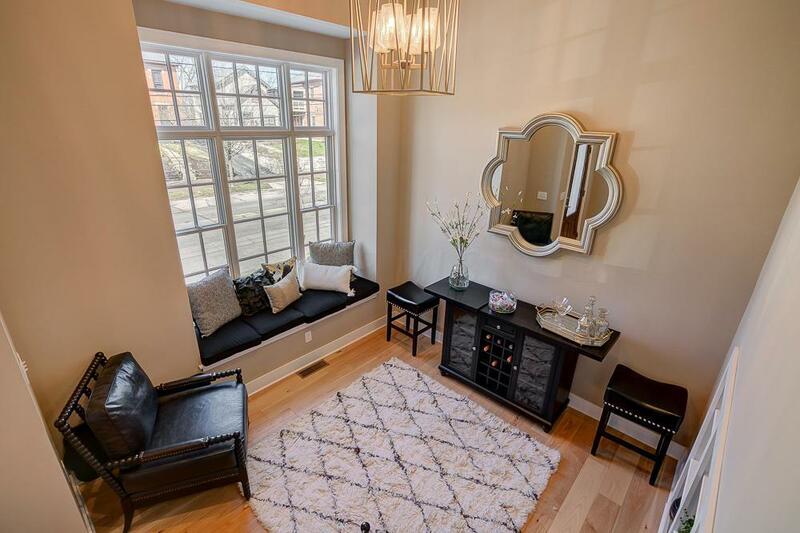 The living room has a gas fireplace & wall of windows to a private balcony. 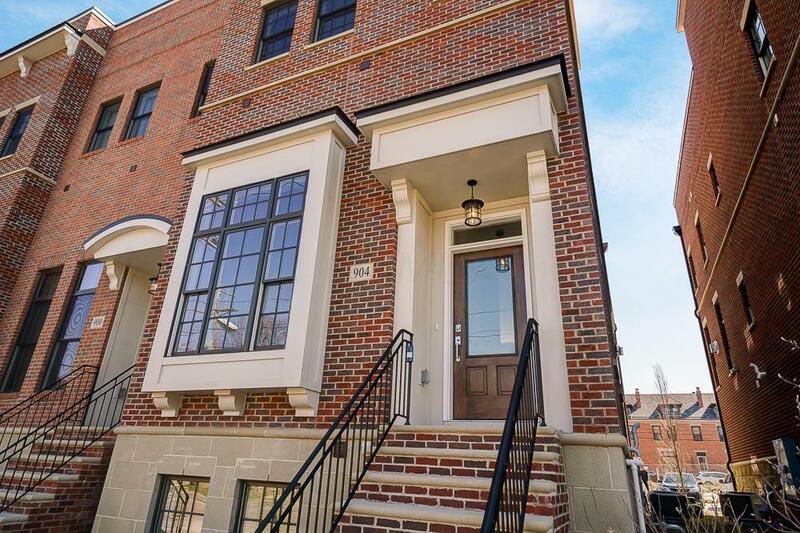 Owners's suite boasts a large walk-in closet, extra windows & bath with walk-in shower & double sinks. BONUS flex room could be another walk-in closet, home office or home gym. Guest bedroom includes another walk-in closet & attached full bath. 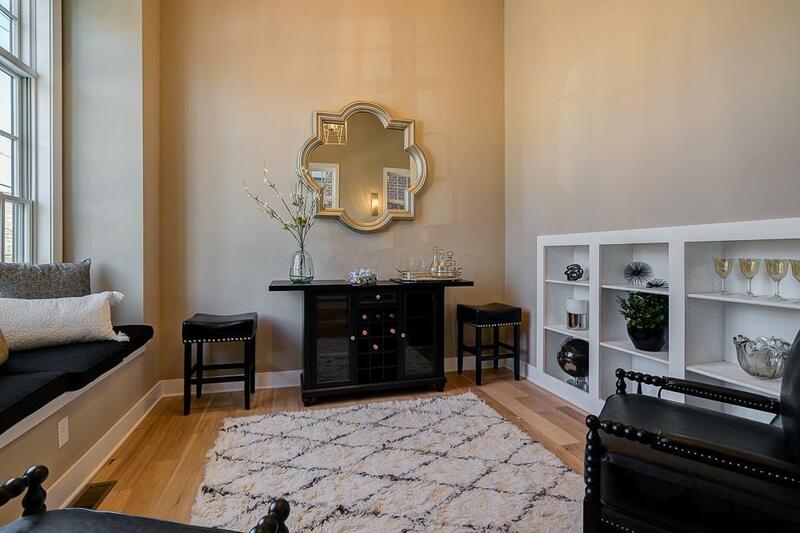 BONUS rec-room with full bath, wet bar rough-in & additional storage. Massive roof top deck. ATTACHED 2-car garage, 9 extra windows, loads of upgrades!